The United Nations Climate Change Conference in Copenhagen (COP15) officially began on December 7, 2009 with Prime Minister of Denmark HE Lars Lokke Rasmussen inaugurating the summit, which is scheduled to run till 18th December. The conference is aimed at devising strategies to bring down carbon emissions by rich as well as developing nations, and ensure that Global Warming and climate change are at acceptable levels. Until now, negotiations between developed and developing countries regarding new global deals on the environment have been a showdown. But during this summit both rich countries and rapidly industrialising nations, like India and China, are finding themselves on the same side - they are being strongly criticised by those who are at a very high risk due to Global Warming. To add to that there is a growing trust deficit between the rich, not-so-rich, and poor countries. This makes arriving at a consensus at this summit even more difficult. Ganesha uses Vedic Astrology System to determine if the conference will see a positive outcome. There has been an interesting planetary configuration during the summit. The summit began with Jupiter-Neptune conjunction which occurs almost every 12 years, but this time Chiron has also joined the two. Neptune is the planet of compassion and acts as a channel between conscious and unconscious dimensions of the Universe. Chiron is the healer. Jupiter is the planet of expansion and possesses idealistic nature. Jupiter will bring the energies of Neptune and Chiron into focus expanding their positive effects. This cosmic configuration will generate a positive atmosphere for this summit. But Jupiter is debilitated so the process will not be easy. There will be friction within the members and difficulties in accepting the truth. There will be pseudo idealistic discussions, rather than clear cut show of solidarity with the cause. 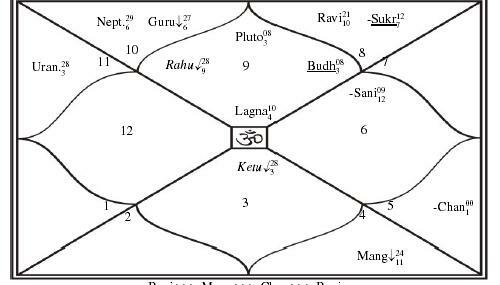 Mercury is afflicted by debilitated Rahu so in the end there will be lots of pledges but little positive action. However, there will still be some hope at the end of it all, and the conjunction of Neptune and Chiron in 2010 will bring some positive outcome.